The saying goes, “ Breakfast is the most important meal of the day.” That is true in certain households. Most people can agree with me, when you work 13 hour shifts a day, getting up extra early to make a healthy breakfast is just not an option. Cereal out the box, or coffee and toast or grabbing a fruit as you rush out the door are most working households breakfast options. Unfortunately I fall into that category. Coffee and a banana is my daily breakfast, and I eat that while I am packing the bags not even sitting down. 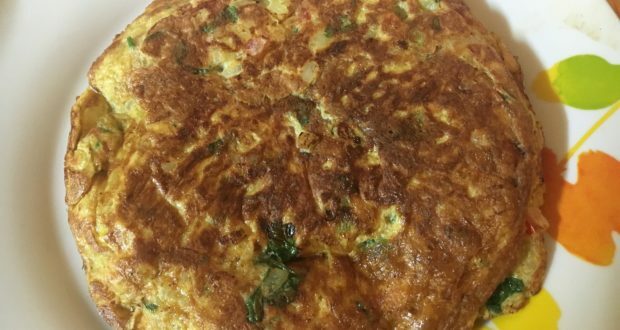 The other night, I was watching Anjum’s Australian Spice Stories on BBC lifestyle and she was making a masala omelette. 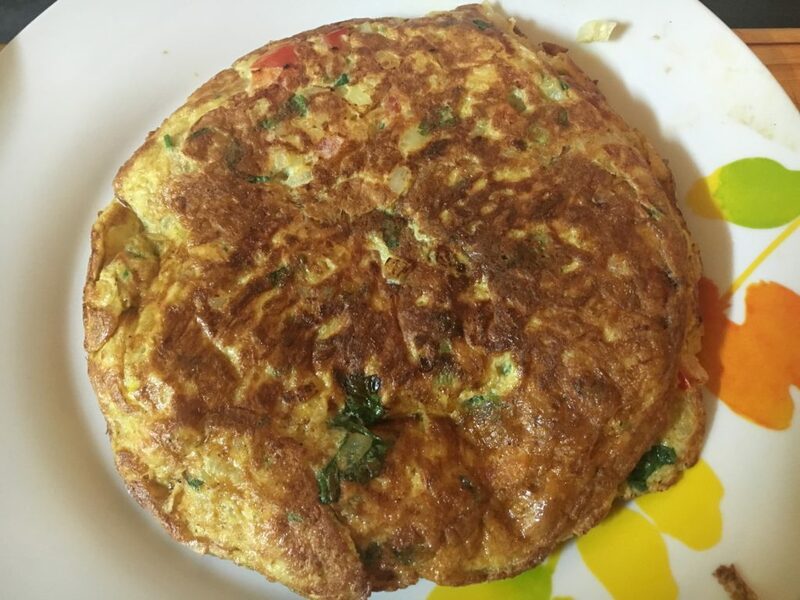 The masala omelette has been on my must learn to make list since forever, but I never came across the recipe until now. It seemed simple enough to make and didn’t require any fancy flips. 3 x medium eggs, whisked. ½ to 1 tsp of garam masala… becareful as this does tend to make the egg have a bitter strong taste. Add everything, except the oil, into a bowl and whisk till well combined. Add the oil to a pan and allow to warm up. Pour the omelette mixture into the warm pan and allow to brown, once nice and gold brown flip and allow the other side to brown as well. I tweaked the recipe as the original recipe used ghee instead of oil, in my household we only use ghee prayer time. Also, if my parents had to find out that I was putting ghee in their food, they would give me a lecture about how bad ghee was and I was giving them cholesterol and making their arteries clog up. To save myself from that speech, I rather opted for oil.